If you don’t have virus protection, your PC will be infected with malware in a matter of minutes. Avira Free Antivirus offers basic protection against viruses, worms, Trojans, rootkits, adware, and spyware that has been tried and tested over 130 million times worldwide. Avira Free Antivirus is a user-friendly security application that helps beginners and experts alike maintain their PCs malware-free. 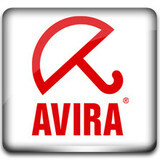 Avira Free Antivirus is free for personal use only. A license key can be downloaded from here. · We removed the switch “Expert mode” from the Configuration and display all the options as if this mode would be always activated. This way no option gets lost and you have to make a click less.